Learning Ovations launches Kickstarter campaign to fund development of app based on ASU faculty research. 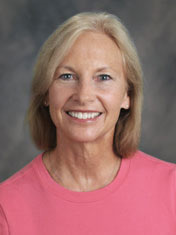 Learning Ovations' technology platform is based on research by ASU's Carol Connor, a professor in the Department of Psychology and a senior learning scientist in the Learning Sciences Institute. Our research has shown that if we take into account children’s individual differences in their language and reading skills, we can develop more effective individualized instruction for them. Just as students receive report cards at the end of each school year, so too does the United States – and the country’s most recent report card paints a bleak picture of the current state of reading instruction. According to the 2013 National Assessment of Educational Progress, 33 percent of students in the United States leave the third grade not knowing how to read. This lack of early literacy skills has serious consequences – students who can’t read proficiently struggle throughout their education and are at a higher risk of dropping out, working low-wage jobs or going to prison. Compounding the problem is the considerable amount of pressure put on teachers by school districts, politicians and parents to teach all students how to read. Research has shown that individualized literacy instruction is four times more effective than whole class instruction, yet many teachers don’t have the tools and resources necessary to offer personalized instruction. Learning Ovations, a Scottsdale, Ariz.-based education technology company, has set out to change this. The company’s mission is to get every child in the United States reading at or above grade level by the end of third grade. To accomplish this, Learning Ovations is developing a technology platform to help teachers provide individualized reading instruction to students from kindergarten through third grade. The platform gives teachers the professional development, tools and resources they need to manage their classrooms based on each individual student’s language and reading skills. It is built on a foundation of eight years of rigorous research led by Carol Connor, a professor in Arizona State University’s Department of Psychology in the College of Arts and Sciences and a senior learning scientist in ASU’s Learning Sciences Institute. The research, funded by the National Institutes of Health and the U.S. Department of Education and conducted in part at the Learning Sciences Institute, identifies four types of classroom learning. Learning Ovations’ software uses this research to give teachers a clear understanding of how to individualize instruction based on type and duration of learning. The software, which can be used with a teacher’s existing curriculum, also helps teachers track students’ needs, provide personalized lesson plans and monitor students’ progress. “Our research has shown that if we take into account children’s individual differences in their language and reading skills, we can develop more effective individualized instruction for them,” Connor said. The Learning Ovations platform is currently in use in several schools and school districts, and the results to date are remarkable: Connor’s research has shown that in classrooms using the Learning Ovations platform, 94 percent of students learn how to read by the end of third grade. In order to bring the platform to even more classrooms as quickly as possible, the company is creating a mobile app. It has launched a Kickstarter crowdfunding campaign to fund the development of the app, with the goal of making it available to individual teachers by the 2014-15 school year. Supporters of the campaign can sponsor the use of Learning Ovations for a classroom, grade or entire school and then receive updates on those students’ progress. In addition, educators can sign up to have their classroom, grade or school sponsored. Learning Ovations is based at SkySong, the ASU Scottsdale Innovation Center, a mixed-use development designed to serve as an entrepreneurial hub for the Phoenix metro area. The company is one of a number of faculty spinouts that benefit from ASU resources and services available to startup companies at SkySong. Learning Ovations’ mission is to bring to schools evidence-based, rigorously tested interventions and instructional practices that are designed to significantly improve students’ achievement. The company offers a technology platform designed to support educators’ efforts to provide individualized literacy instruction to students from kindergarten through third grade. Using evidence-based algorithms, Learning Ovations links assessment results to recommendations for instructional strategies and activities. In third-grade classrooms where Learning Ovations is used, students are reading, on average, at a fifth-grade level. SkySong, the ASU Scottsdale Innovation Center, is home to a global business community that links technology, research, education and entrepreneurship to position ASU and Greater Phoenix as global leaders in the knowledge economy. Located on a 42-acre campus in Scottsdale, SkySong is at the heart of the redevelopment of the McDowell Road corridor. Organized around a central plaza with a signature shade structure, it is a mixed-use development with 1.2 million square feet of space. The development, a joint venture among Arizona State University, the ASU Foundation for a New American University, the City of Scottsdale, the Plaza Companies and the Holualoa Companies, is located three miles from ASU’s research-intensive Tempe campus and seven miles from Sky Harbor International Airport.